We’re in one of those truly awful strings of over-100 degree days. When it’s that hot, the world seems inhospitable… surfaces burn, the light is sharp, plants are brittle and withered, the heat is harsh and angry. I look at the five-day outlook and just feel anxious and defeated. And grumpy. Not a fan of the over-100s. This is one of the few times a pool seems obvious and I feel stupid that we missed the memo. Central Valley + Summer + Global Warming = Pool. A backyard pool, not a public pool–too much pee and other people’s body fluids and sunscreen oil and god knows whatall. Ick. 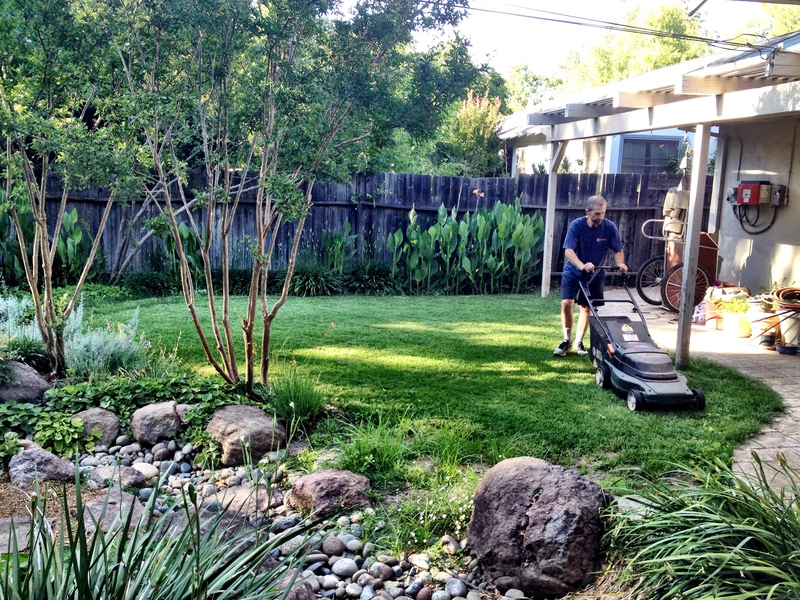 Having your own backyard pool is the only and obvious solution; people with pools don’t suffer this heat. That is a fact. Pool is not happening here, though. Will try to move on. 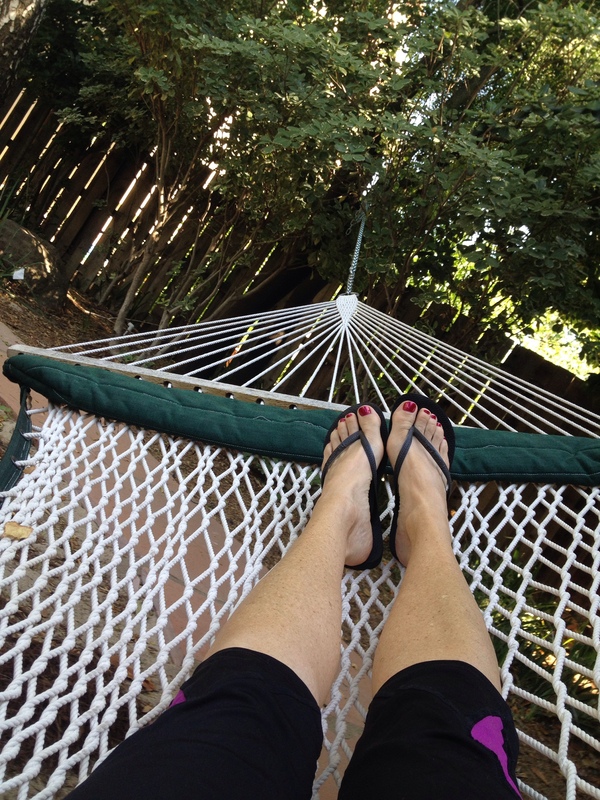 In our backyard, however, we do have a hammock, lots of shade and a little bit of verdant greenery that, when it’s this hot, feels like a little patch of respite. A little piece of unharsh. 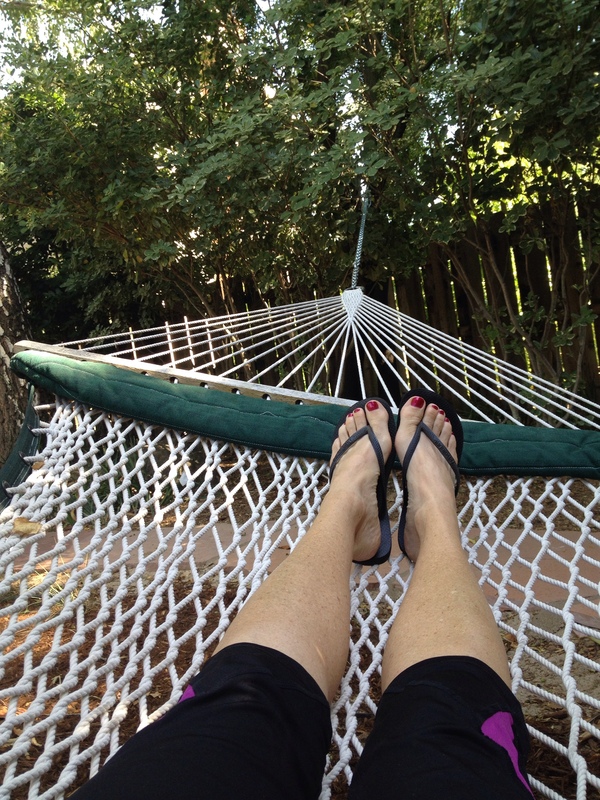 And if you’re lying on the hammock in the shade and swinging back and forth, it’s not too bad, even when it’s 100 degrees. 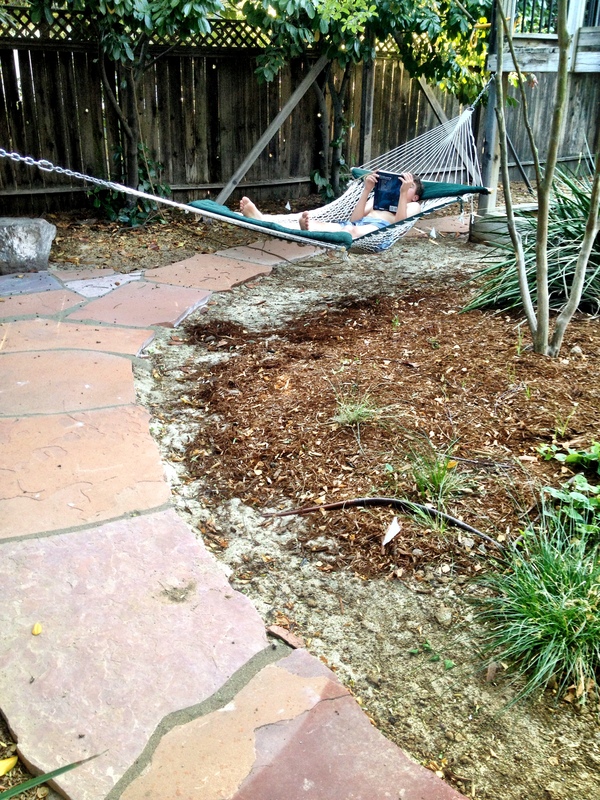 Jim put up the hammock for Mother’s Day and, since, I’ve been lying in it a lot. Peter’s now taken to lying in it, too. Jim’s not a hammock guy, not sure why, but he does mow the lawn. Peter, who came home today from a day of double header baseball in the over-100 degree weather, wandered around in the sprinkers for a few minutes–the only set we have left waters the grass–then grabbed his chemistry book and retreated to the hammock to study for tomorrow’s final. I have to hand it to him, that is definitely the way to study..